Yes, I've caught the knitting bug! It started with socks but now I've graduated to sweaters. I've joined two local knitting groups and the online knitting community, Ravelry. 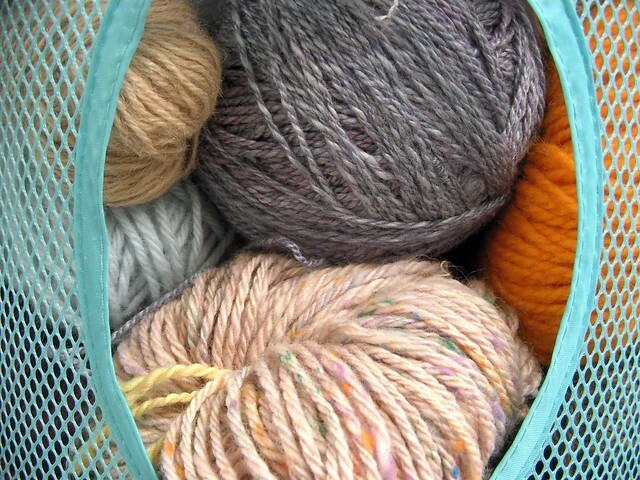 Someone on Ravelry recently asked if there was an equivalent online quilting community, where people can post and share notes on their stash, patterns, and completed projects, find out about the latest fabric lines, join bees, quilt-alongs, block clubs, and other special interest groups. I scanned the internet to see if such a thing existed, but nothing stood out. I did find this one for men, ManQuilters. Love it! But is there a primary social network for quilt makers that is more inclusive? Of course there is the Modern Quilt Guild that seems to be organized quite well through social media. However the Modern Quilt Guild is organized in a multitude of local social networks which I think is fantastic - but different from an all encompassing social network like Ravelry. Are quilt makers and quilt making too diverse to settle on one main social network? If you participate in an online quilting community share the link and tell me about it. Why do you like it? What features of the community do you interact with the most? I'll pass your info onto my knitting/quilting crossover friends on Ravelry.